Datuk Mirza Mohammad Taiyab Beg has made a representation to the attorney general to reconsider charges of committing criminal breach of trust. Mirza was charged on 16 August with former Pembangunan Pelancongan Malaysia Berhad chief operating officer, Mohammad Rosly Md Selamat, with criminal breach of trust involving RM888,000 (£182,225). 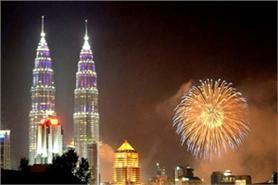 Pembangunan Pelancongan Malaysia Berhad organises events and promotional activities for Tourism Malaysia. The charge is that the pair approved a payment of RM888,000 to LCL Interior LCL Dubai's account for the construction of the Malaysia Dubai restaurant in Dubai, although the requirements for the project were not complied with. However, after returning to court this month, they have decided to apply to the attorney general to reconsider the charges after reviewing documents from the prosecution. Judge Azizah Mahmud has set 18 Oct for mention. Tourism Malaysia appointed Tuan Haji Azizan Noordin as its acting director general on 19 August while the court proceedings are taking place.